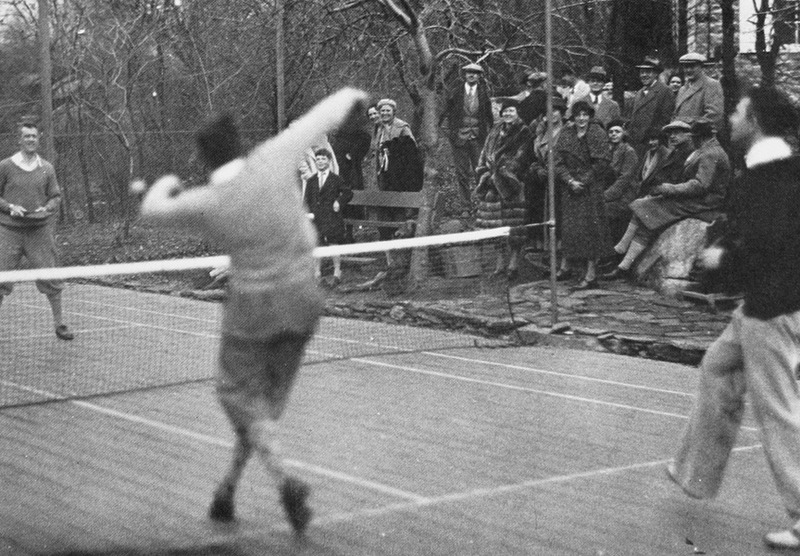 Old Army Athletes spectators at the Cogswell court, 1933. The matches were followed by tea with Francesca (Teck) Cogswell in the Cogswell's living room. From the first game, Jimmy and Fess knew they were onto something promising. The court became a gathering place for their families and friends to socialize, play and fine-tune the game. 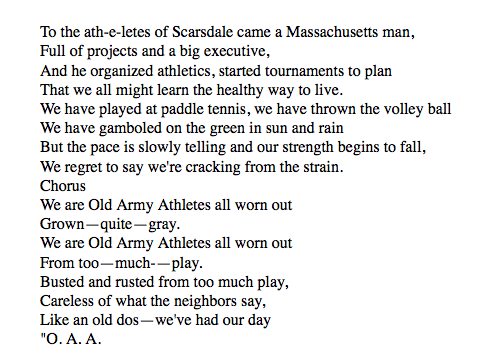 The expanding circle of founders dubbed themselves the Old Army Athletes, for Old Army Road on which the Cogswell’s house stood. 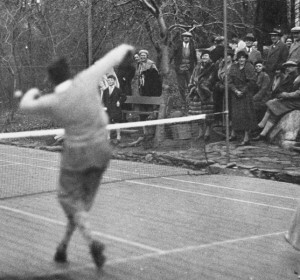 During the winters of 1928, 1929, and 1930, the Old Army Athletes shaped the rules and character of platform tennis. They made it a family game, a sport that players of disparate abilities and ages could play together happily. This enthusiastic group of 25-30 families infused the game with the camaraderie and informality that has become its hallmark. 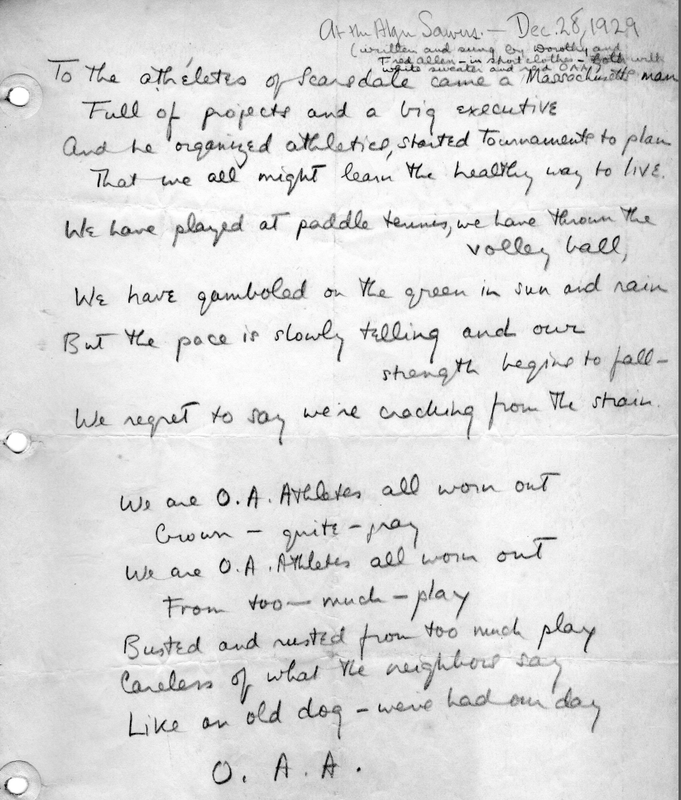 The Old Army Athletes even started a ”marital championship” with sixteen teams of husband-wife pairs only. There was a penalty of one point for each time a husband criticized the play of his wife, and vice versa. The judges had to listen carefully to detect any faint signs of sarcasm when sweet remarks seemed somewhat overdone.